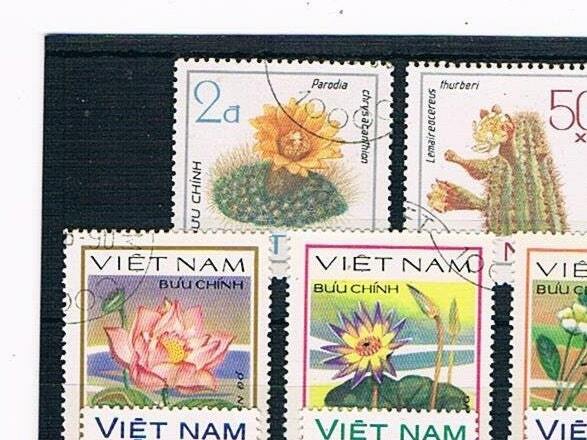 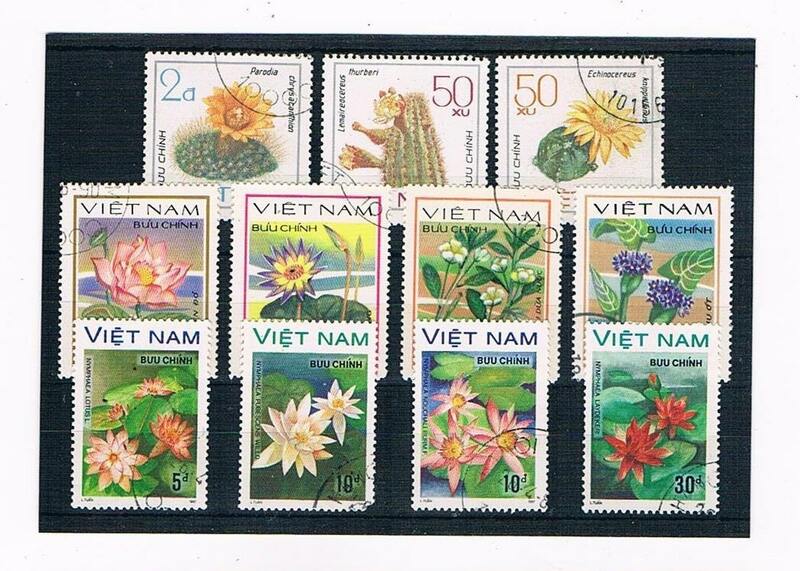 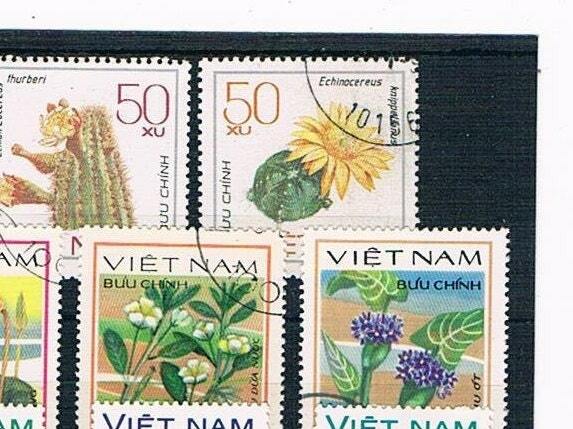 A pretty selection of used vintage postal stamps from Vietnam, featuring flowering cacti, waterlilies & more. 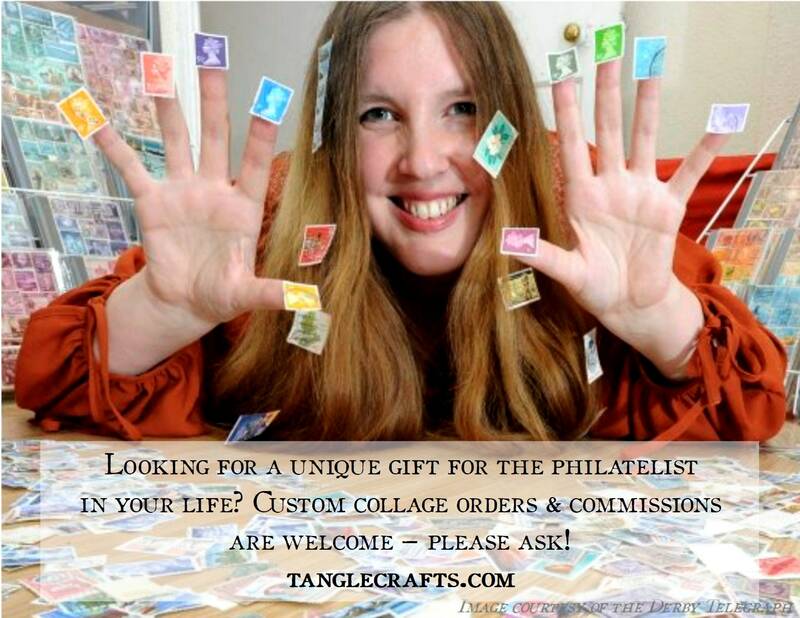 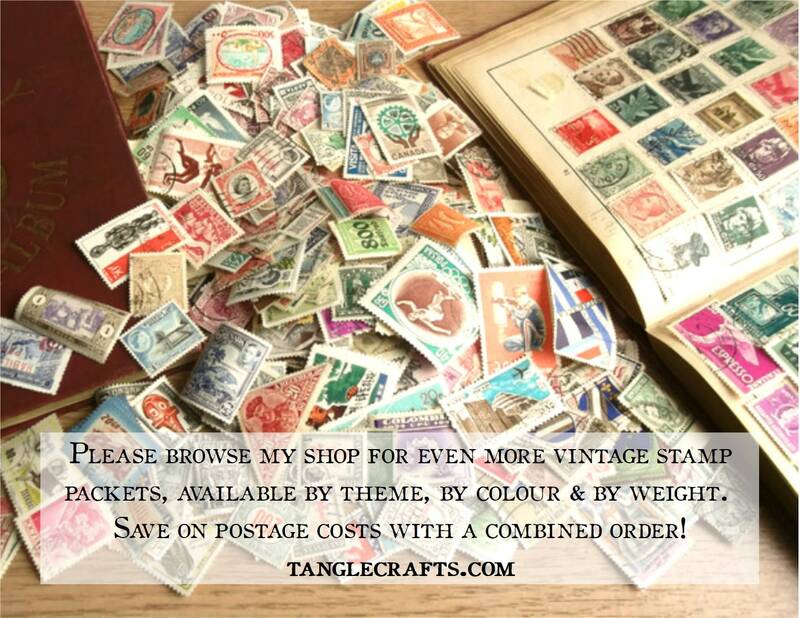 You will receive the exact selection of stamps as shown on stock card, dating from 1976, 1977 & 1984 - beautiful stamps ready to be recycled into your craft projects or maybe even preserved in an album. 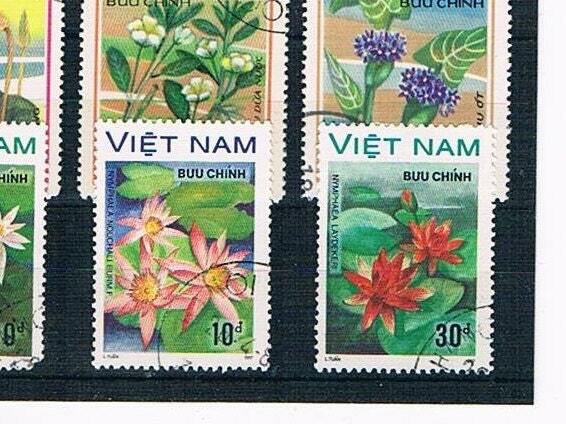 All stamps are in excellent used/CTO condition, sporting varying fragments of postmarks acquired on their travels. 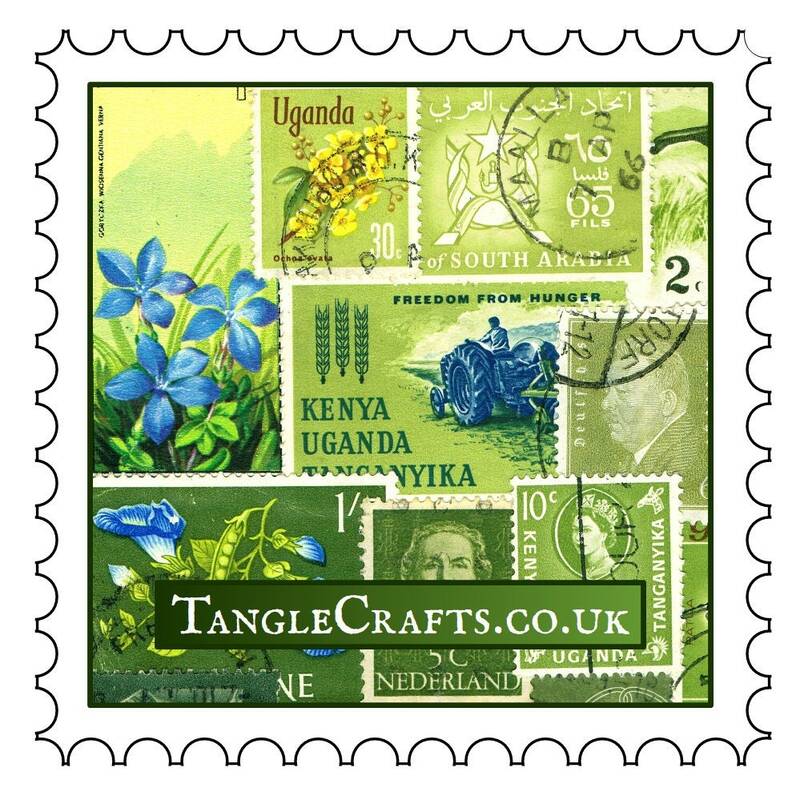 They are off paper, ready for use in your creative projects (not valid for use as actual postage!). 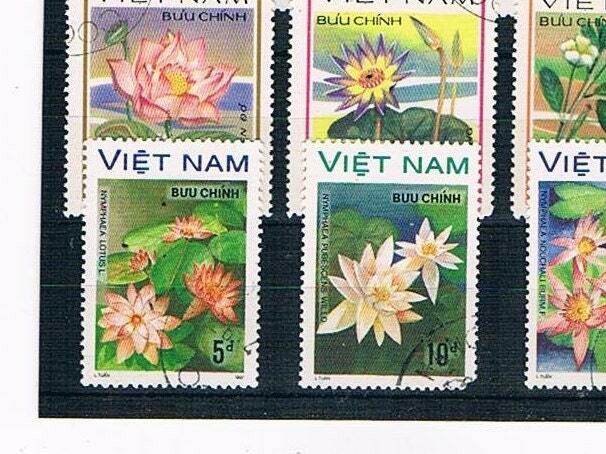 These stamps have been collected from kiloware and old stamp albums so some may still have a stray hinge on the reverse.